Johnson Dental Care in Landisville, PA has a highly skilled and experienced dental team to take care of your smile. Our staff has spent years honing their craft, and they offer you a level of dental care that is second to none in the Landisville, PA community. 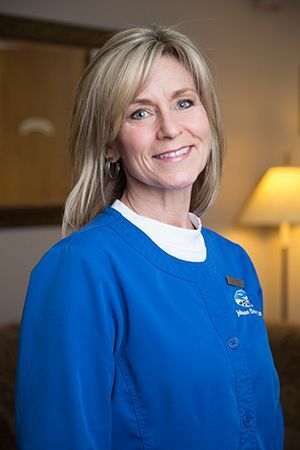 Take a moment to learn more about what makes our staff such an important part of Johnson Dental Care. 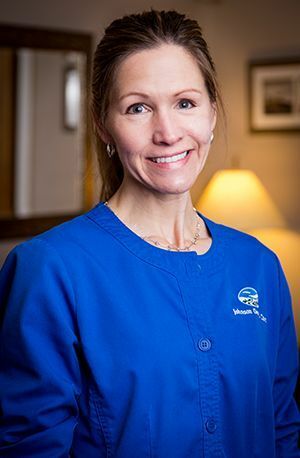 Michelle has been in the dental field since 2006 and has been with Johnson Dental Care since 2007. She has certifications in radiology and CPR. Michelle enjoys meeting patients and being helpful. When not at work, she enjoys activities on the water such as boating and kayaking. 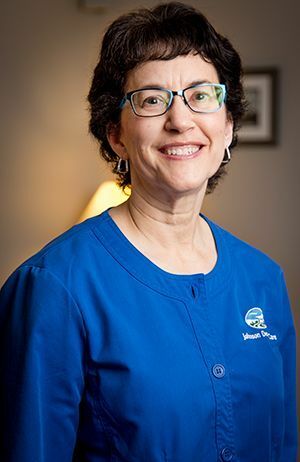 Deanna, or Dee as she is known around the office, has been in the dental field since 2007, and all of that time has been spent here at Johnson Dental Care. Dee was in medical billing prior to entering the dental field. She has taken continuing education classes in billing/collections and computer software, and she has certifications in radiology and CPR. 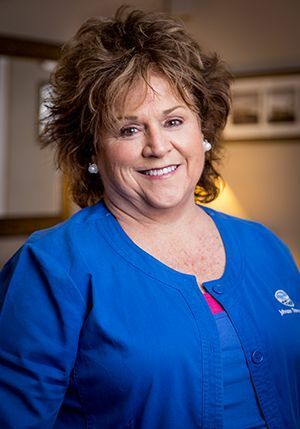 She enjoys getting to know our patients and helping them understand their insurance benefits. Outside of work, Dee enjoys spending time with her husband, cooking, baking, and football. Cindy has been with our practice for more than a decade. She enjoys interacting with our patients and showing an interest in their lives. Cindy is married with two adult children. She is active in her church and enjoys reading, crossword puzzles, and taking fitness classes. Motique has been with our practice since 2015. A 2002 graduate of Harrisburg Area Community College, Motique has her license in local anesthesia. 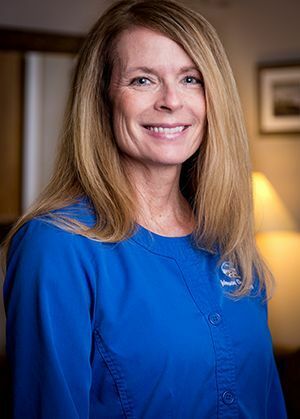 Her continuing education courses include RDH Under One Roof and David Hornbrook courses, and she is certified in radiology and CPR. Motique enjoys educating our patients on optimal oral health. Outside of work, she enjoys boating at Lake Raystown and spending time with her family. 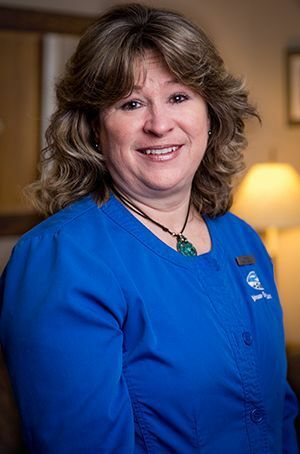 Michelle has been a part of Johnson Dental Care for the last year but has been in dentistry for the past 15 years. Michelle is a graduate of Harrisburg Area Community College. Her ongoing continuing education includes CPR and radiology certification. She is compassionate toward our patients and passionate about her profession. Michelle enjoys her daily interactions and continued education to maintain and improve our patients’ dental health. Michelle is married with two children. Outside of work, she enjoys spending time with her family, being outdoors, especially at the mountains and beach, and boating on the weekends. Wendi has been with the practice since 2003. She has an amazing 47 years’ experience in the dental field! She earned her dental hygiene degree from Temple University. She is certified in radiology and CPR. 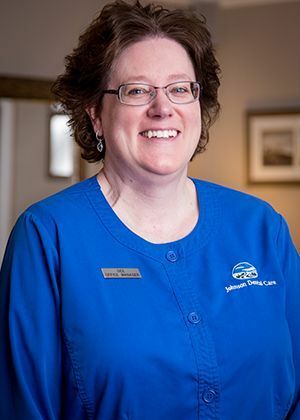 Wendi enjoys meeting and talking with patients. Outside of work, she enjoys the beach and boating with her husband, children, and grandchildren. Amanda has worked in the office since 2000 and been in the field of dentistry since 1996. She spent three years working as a dental assistant and graduated with an associate’s of arts degree from Career and Technology Center for Dental Assisting. She has training in helping patients with periodontal disease, bruxism, and sleep apnea. She also has completed courses in dental implants and prevention for high-risk adults.